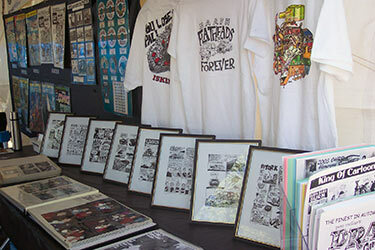 When Pete was alive he and Orah Mae never missed a CHRR. 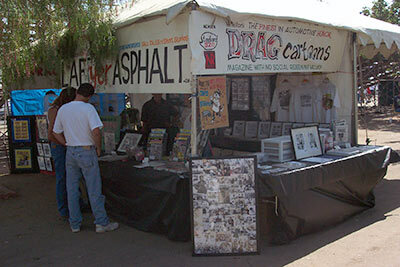 They always had a booth full of Millarkey - always there to chat and always a laugh. 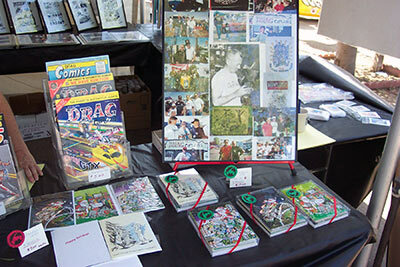 That tradition is being carried on in a bigger and better way by daughter Robin and Orah Mae. 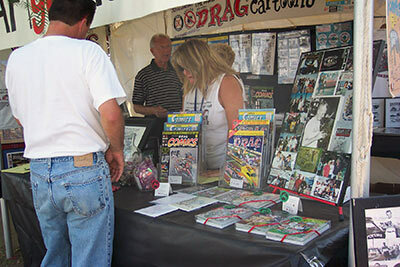 Here are some photos of this years booth in the fabled "Grove" at Fomosa Raceway - aka Bakersfield. 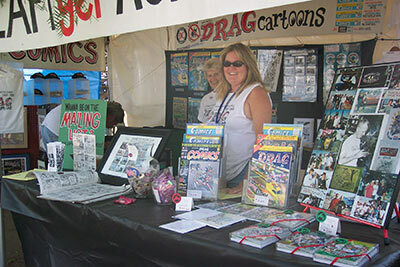 Da Gals manning the Millar traveling road show. 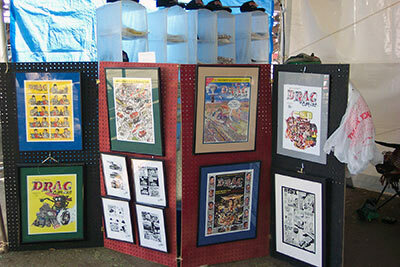 Throughout the booth you can see Pete's work up close and personal. 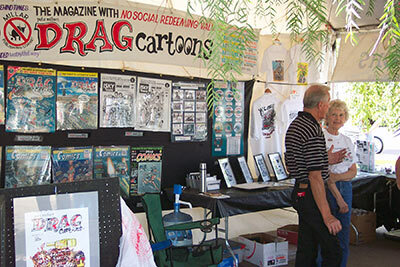 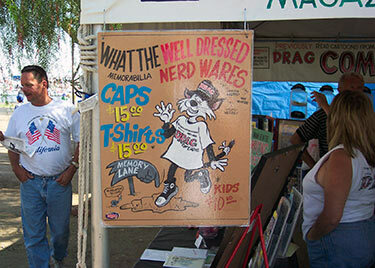 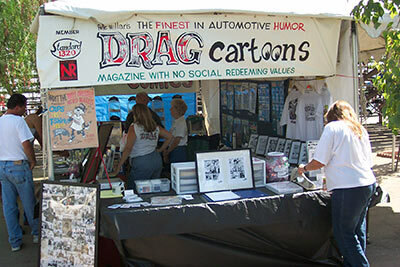 Be sure to stop by the next time you see the DRAGcartoons booth and say hi ... or better yet, take home some Millarkey!